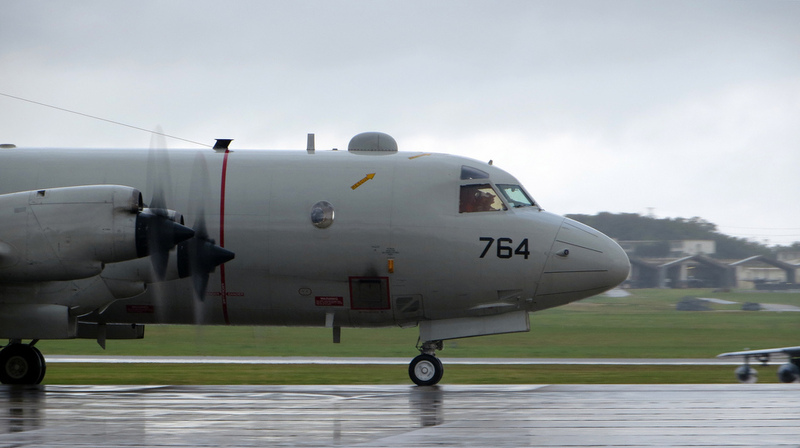 A P-3C Orion aircraft takes off from Kadena Air Base, Okinawa, Japan to assist with MH370 recovery efforts thousands of miles away. Photo from Official U.S. Navy Page. In a recent post, I discussed cross-polar flights and the international framework that exists for search and rescue (SAR) coordination in the Arctic. With Malaysia Airlines Flight 370 missing since March 8, seven countries are now scanning the southern Indian Ocean for any sign of the aircraft. The effort has turned into more of a recovery than SAR, even as the chances of recovery seem to dwindle with each passing day. Australia is coordinating the search out of the newly established Joint Agency Coordination Center in Perth, on the country’s west coast. Prime Minister Tony Abbott announced, “This multi-country search is a powerful example of international cooperation at a time of adversity. Military air crew from Australia, China, Japan, Malaysia, New Zealand, the Republic of Korea and the United States are searching for possible debris from MH370.” Even countries with tense relations, such as China and Japan, refreshingly manage to work together on SAR efforts. This graphic from The Star, a Malaysian newspaper, shows many of the ships and aircraft that have been involved with the search, along with their country of origin. Looking more specifically at the Arctic, how would search and rescue operations be managed? The region’s primary joint rescue coordination centers (JRCCs), maritime rescue coordination centers (MRCCs), and aeronautical rescue coordination centers (ARCCs) as listed by the Arctic Council’s SAR Treaty on page 18 are in the following locations (credit to David Snider @icenav57 for his assistance in compiling this list). These RCCs are more for communicating and coordinating than for actually launching rescue efforts, which are detailed in the next section. Sometimes, as with MH370, temporary RCCs are opened near the site of the incident. Australia’s primary rescue coordination center is located in the nation’s capital in Canberra, yet the country decided to open a coordination center in Perth, closer to where MH370 allegedly went down. Perth is a well-developed city with lots of infrastructure despite the fact that it is one of the most isolated metropolises on earth. It’s hard to imagine a similar rescue coordination center being established on the fly in the Arctic given the even more challenging and isolated conditions. Successful SAR in the Arctic depends on the actual deployment of assets. The closer these units are to the site of the incident, the better. 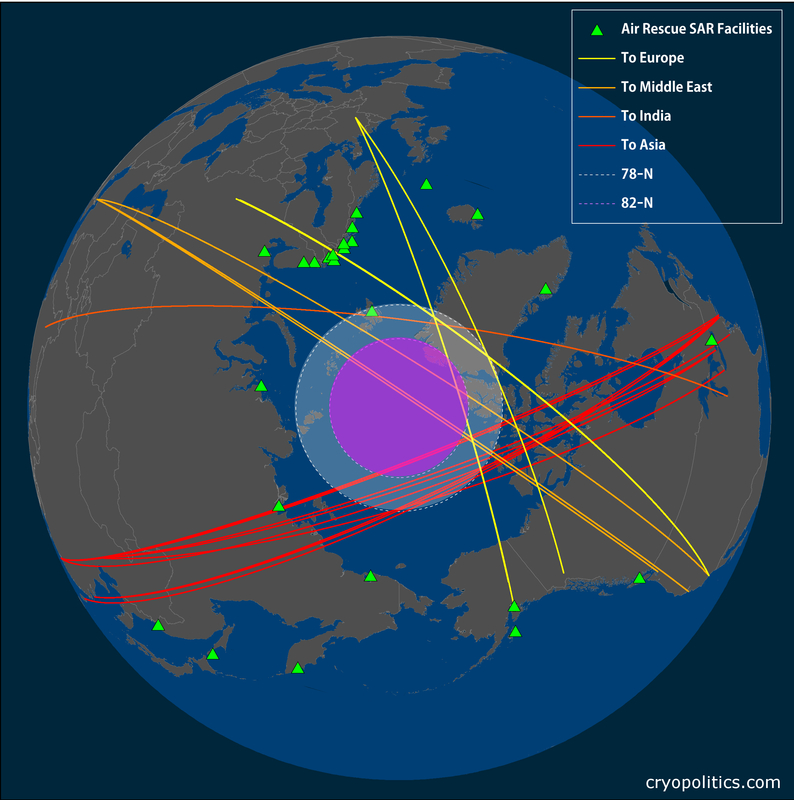 Cross-polar flights between Asia and North America spend most of their time transiting the airspace of the three biggest countries in the Arctic: the U.S., Canada, and Russia. Yet the majority of the assets that can be deployed for SAR in the region are located in northern Norway, Sweden, Finland and on Russia’s Kola Peninsula. This area also happens to be one of the most densely populated and developed in the Arctic, with a large amount of infrastructure including airfields, ports, and roads. The map I made below assembles data from a number of sources detailing the facilities in the Arctic and sub-Arctic with airplanes, helicopters, and other capabilities to respond to an incident in the Arctic. Though not entirely comprehensive, it’s a start at determining where capabilities exist and where they are lacking. Of course, as in the case of the recovery efforts for MH370, capabilities can be mustered from thousands of miles away, too, making non-Arctic states potentially relevant to Arctic SAR. Most worryingly, perhaps, is the fact that the Canadian Royal Air Force would launch a response to a disaster in the Arctic from Canadian Forces Base (CFB) Trenton or CFB Comox, in British Columbia – both of which are hours from the Arctic by plane. A study by Canada’s National Defence Centre for Operational Research and Analysis determined that the optimal locations for “reception, staging, and onward movement hubs” for responding to major air disasters in the north are in Yellowknife and Iqaluit, places which already have airfields and which are much closer to the Arctic than Trenton. Yellowknife is more effective in terms of the time to respond, while Iqaluit is more cost-effective. Given the lack of significant infrastructure development in the sparsely populated and vast Canadian Arctic, it’s unlikely that a new air rescue SAR facility will open in the country anytime soon. Russia, by contrast, recently opened its sixth air division SAR center in the Russian Far East in Magadan. Last August, a British Airways flight from Beijing to London was diverted to Irkutsk after the plane’s navigation system failed, once again demonstrating that aviation incidents, though statistically rare, still happen. Though Irkutsk is not everyone’s idea of a vacation, staying in a hotel in Siberia for days is far better than being stranded, even if only for hours, on the Canadian tundra. Lieutenant-Colonel Carl Westerland, director of the Alaska Rescue Coordination Center, asserted, “There is a ‘tyranny of time and distance’ in Arctic SAR.” More investments in staging polar SAR capabilities in the Arctic rather than hundreds of miles away would help reduce that tyranny, but as with anything in the Arctic, they would come with a hefty price tag. The tyranny thus looks set to continue – especially in the North American Arctic. One thing to keep in mind, however, is that SAR assistance need not always come from nearby, even though response time is of the essence. South Korea and Japan, for instance, don’t have any apparent connection to MH370. Both countries are about 5,000 miles away from Perth, and in fact, Madagascar is closer. Yet South Korea and Japan have capable air forces with the wherewithal to send aircraft with long-range search, radar, and communications capabilities to look for the lost plane, while Madagascar (and other countries along Africa’s east coast) do not. It’s conceivable that Japan, South Korea, or China could also provide assistance in the case of an incident in the Arctic Ocean, particularly near the Bering Sea, especially since all three countries have icebreakers. SAR allows countries to demonstrate their power projection and military capabilities in a benign way, arguably helping to increase their soft power. So even though SAR comes at a price, countries may be willing to help out in areas far from home – especially if it helps to bolster their national image. Cross-polar flights vis-à-vis locations in the Arctic and sub-Arctic (broadly construed; note the southern distance of the locations in Canada) with capabilities to assist in Arctic SAR operations. The headquarters of the Canadian Department of Foreign Affairs and International Trade. Canada’s three JRCCs are in Victoria, Trenton, and Halifax. Pingback: How Will Search & Rescue Work If A Plane Goes Down in the Arctic?